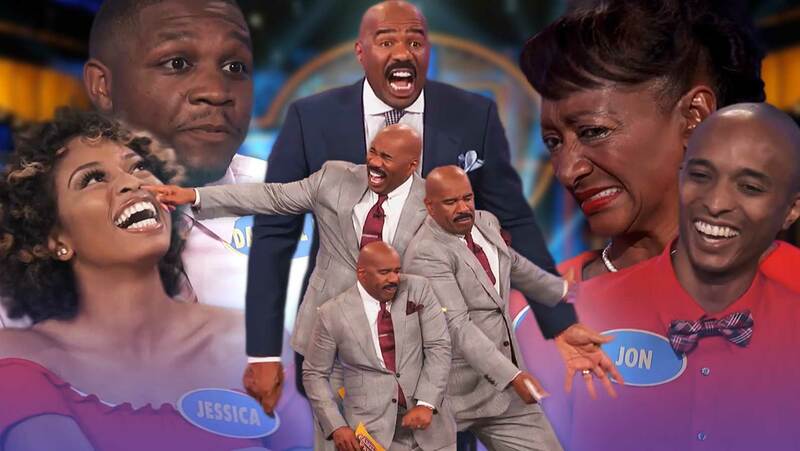 There are so many things to love about Family Feud, from laugh-out-loud celebrity appearances to our beloved host. But what really makes the show? The families, of course. Recently, we hosted one of our most memorable, the Newmans. 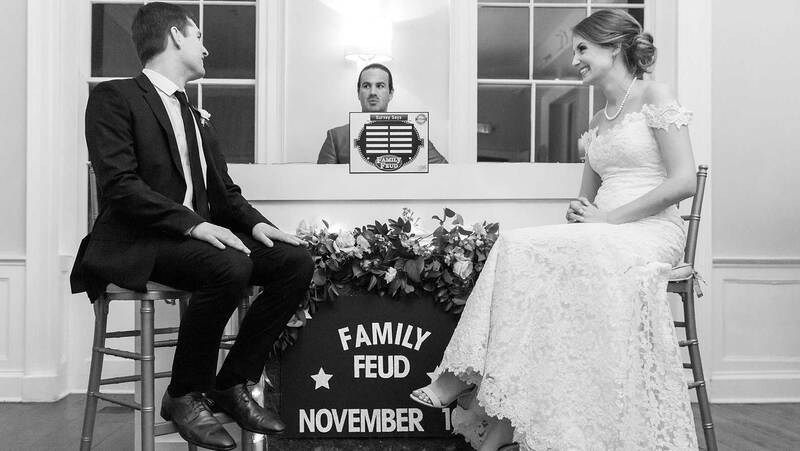 After their two episodes aired in September and early October, the Newmans quickly went viral for one particularly noteworthy answer courtesy of Aunt Willow Joy—the clip racked up over 5 million views in just a few weeks. Press play to see how she finished the thought. 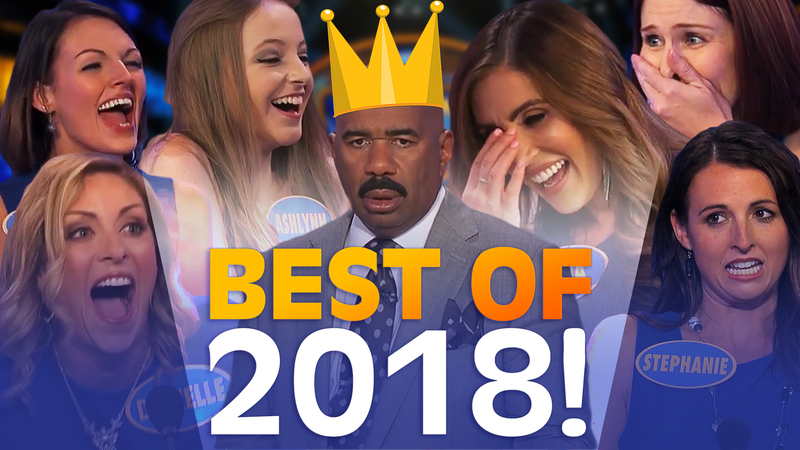 These ladies were a blast to have on the show, and viewers—not to mention everyone on the internet—obviously agreed. Recently we caught up with the five of them: LaKeisha; her mom, Donna; Donna’s sisters Angela and Willow Joy; and LaKeisha’s cousin, Myriah. Together, the “Newman Girls,” as they affectionately call themselves, shared how they went from a regular, tight-knit Baltimore family to superstars in their local community and beyond. 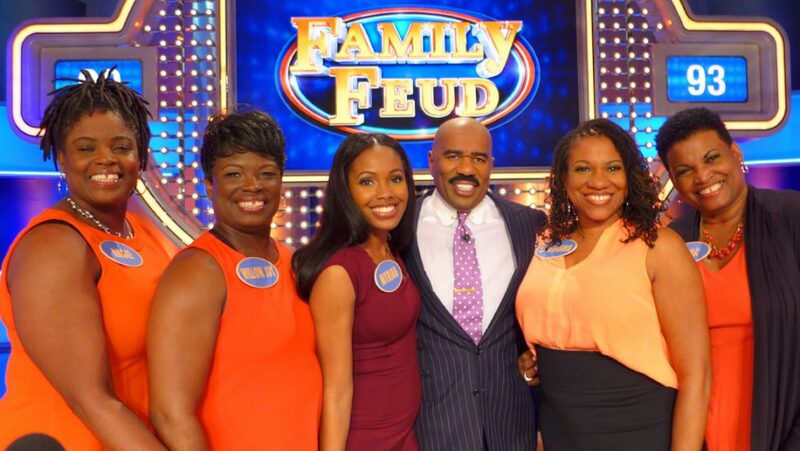 Beyond that, LaKeisha explained that the Newmans were longtime Feud fans: “We play Family Feud on the Wii all the time, and watch [the show] daily!! 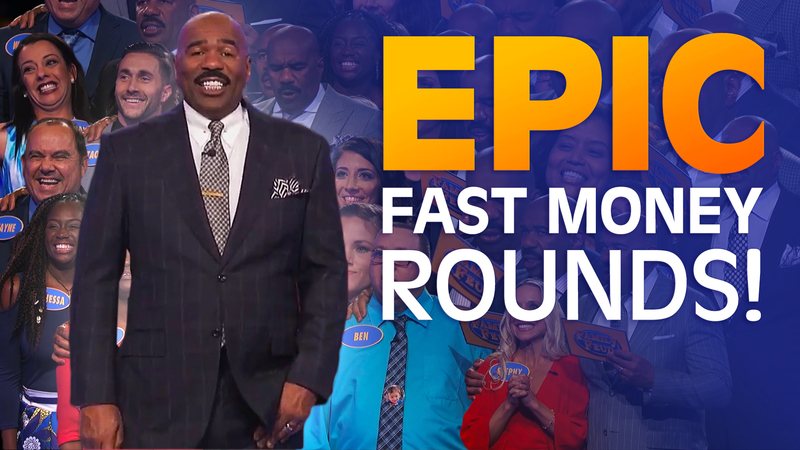 We would love an opportunity to play on the show as we are super competitive! You will be in for a treat! !” On that last part, she wasn’t kidding. 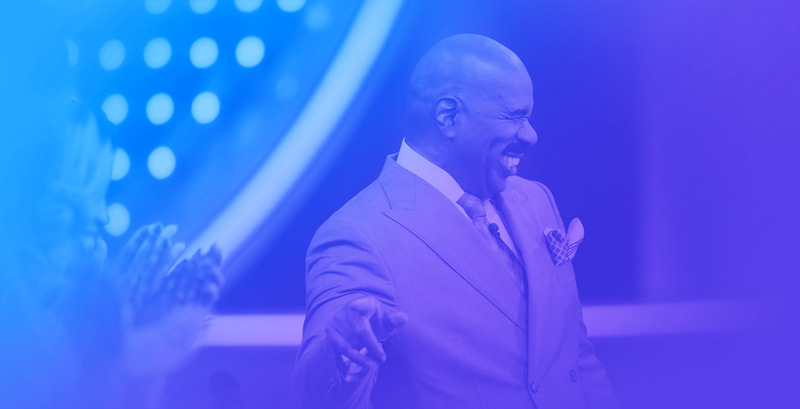 When they were invited to a live audition in Baltimore, the Newmans were thrilled. They wore their “Newman Girls” T-shirts, which LaKeisha had custom-made for everyone as her Gift from the Heart one Christmas. Their strategy going in? “Just have a good time,” says Willow Joy. “Win or lose, we were gonna have fun.” And, if they made it all the way, they planned to split the winnings six ways. LaKeisha took her mom, Donna; Donna’s three sisters; Angela, Willow Joy, and Renee; and her cousin Myriah—even though they knew only five of them could ultimately make it onto the stage. As sure as the Newmans were they nailed the audition, all they could do afterward was wait. 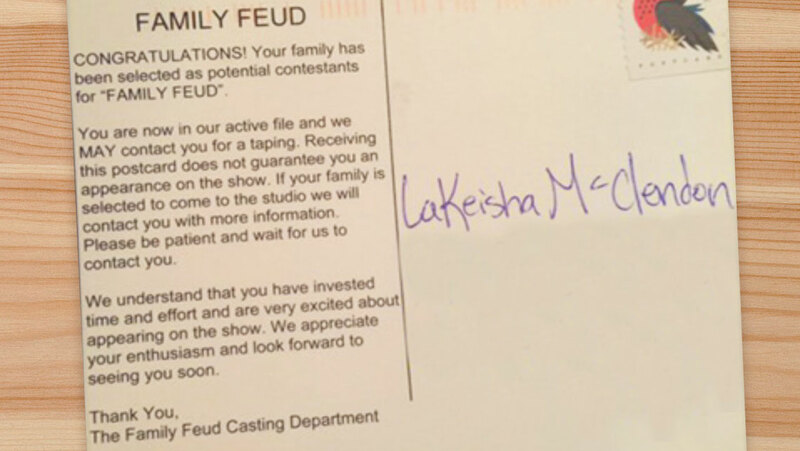 “We went home, and we didn’t hear anything for about eight weeks,” says LaKeisha, who was anxiously checking the mail for word from the producers. “LaKeisha never checks her mail, but she was out there every day,” says Myriah, laughing. Finally, a postcard arrived, letting the Newmans know they were moving on in the process. 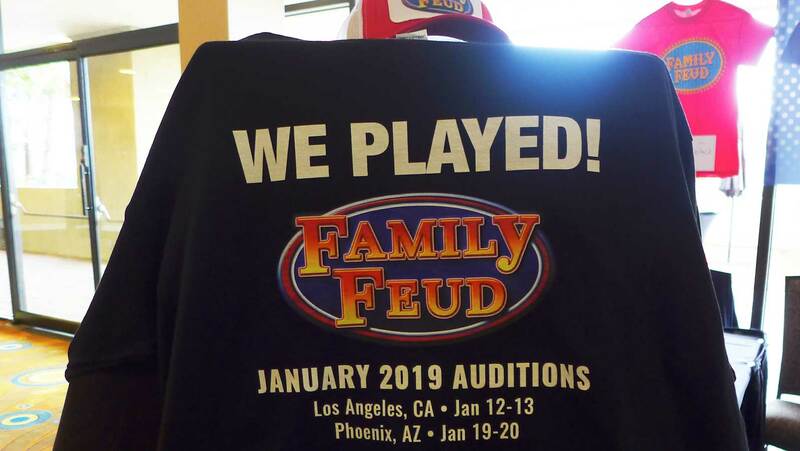 LaKeisha snapped a photo and texted it to all the Newman Girls: “I said something like, We’re gonna meet Steve Harvey, we’re gonna be famous, we’re gonna get our own reality show!” Everyone was excited—and anxious to find out the next steps. LaKeisha had just arrived in Orlando, FL with her children for a spring break trip when she checked her voicemail, and got the message she’d been waiting for. “We were screaming and hugging in the airport!” she says. It was one of the show’s producers, letting her know they’d been cast. After spreading the word to the family, she set up a conference call with the producers to go over the details of traveling to Atlanta, where the show taped at the time, and all the other logistics. Moments later, they found out they’d be playing against the Bennetts. The Newmans were skeptical—and didn’t want to compete against the friends they’d just made. But producers recognized the chemistry the two families had and it all came out on stage. In the end, the Newmans didn’t win big money — but they did have the time of their lives. “We won a whopping $144 each, and it was the best $144 I ever made in my life, because we had so much fun,” says LaKeisha. 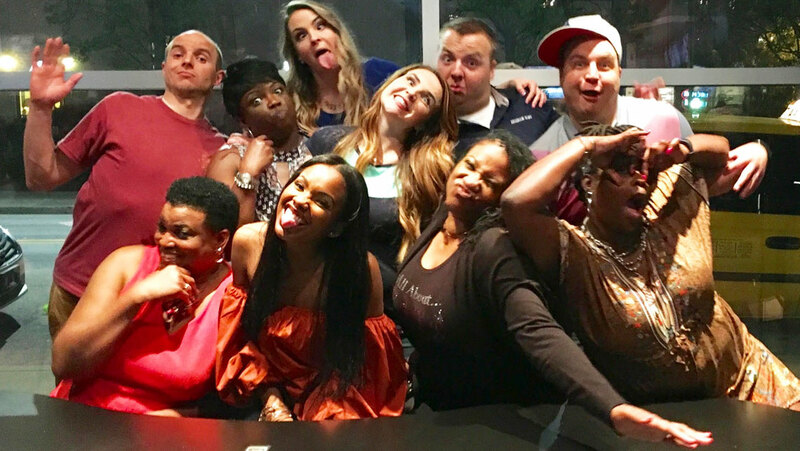 They stayed an extra day in Atlanta, and even went out to dinner with the Bennetts the day after taping. Then, it was time for the Newmans to pack up and head back to Baltimore to wait. The wait turned out to be well worth it. Angie and LaKeisha were on a cruise in Bermuda when the first episode aired, and in true Newman form, they Facetimed Aunt Willow so they could all experience it together. Their clip quickly went viral. 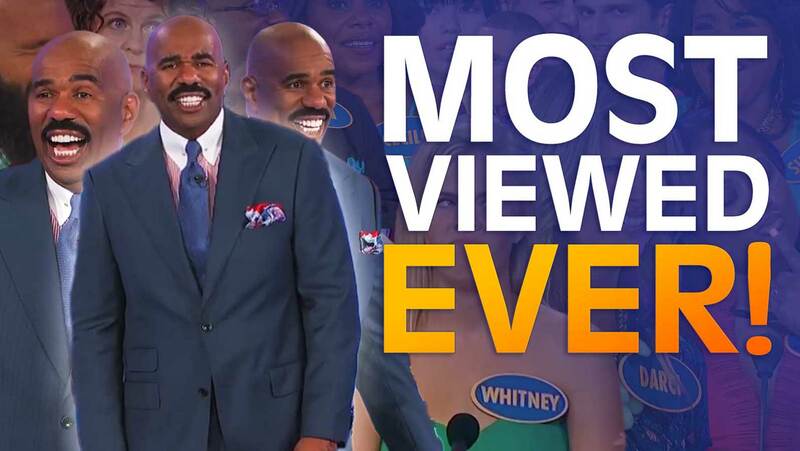 So far, it’s been viewed more than 5 million times on Facebook, and more than 600,000 times on YouTube. In the moment, Willow Joy managed to crack up her family, the audience, and render Steve speechless and even a little embarrassed. 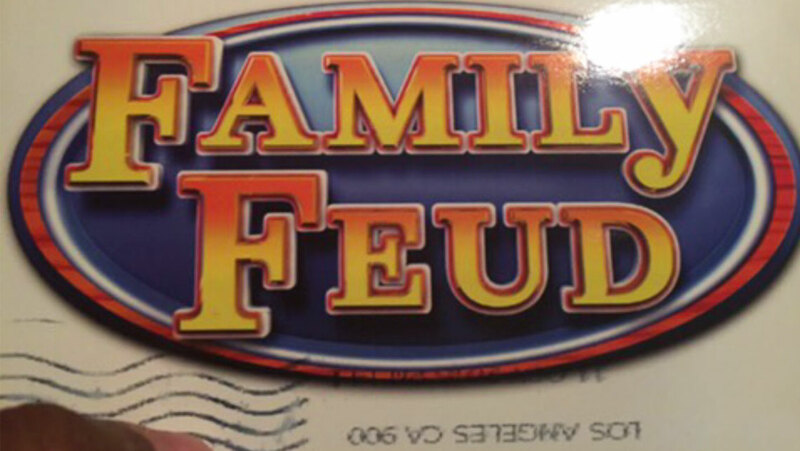 The latter was a Family Feud first. People couldn’t get enough of Willow, Angie, and the rest of the Newmans. 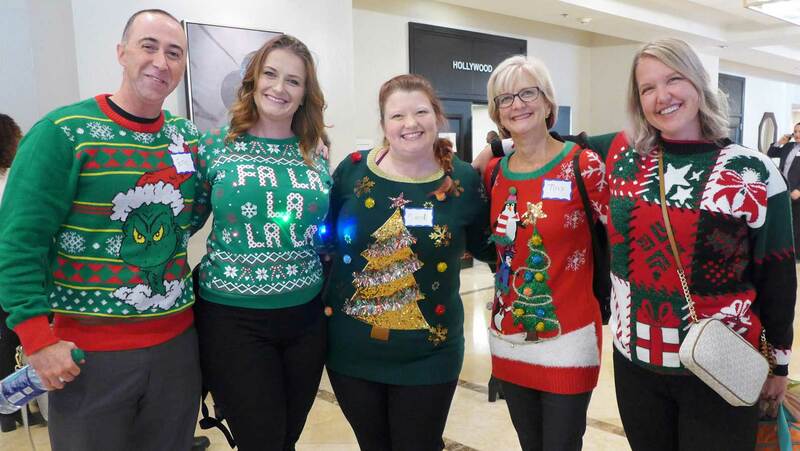 “Right now I have 1,200 friend requests sitting in my inbox,” says Myriah. “I’ve reached the max allowance. And I don’t even know how to use Facebook.” Donna says she’s had requests come in from as far away as Pakistan and Abu Dhabi. The local press took note, too. 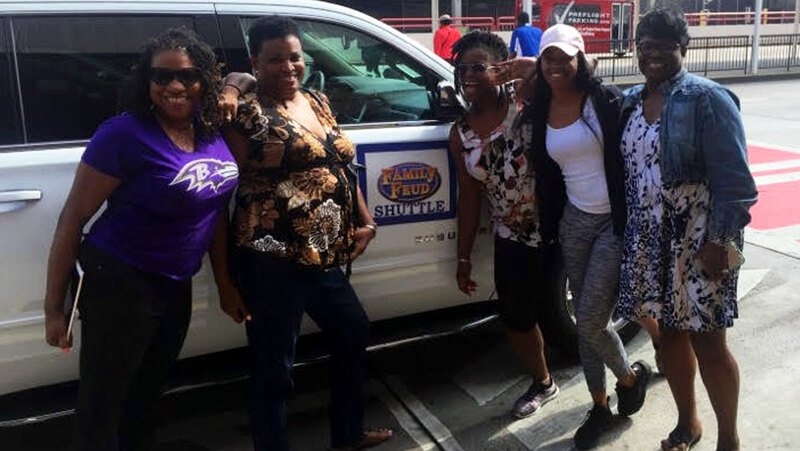 The Baltimore Sun wrote a story on the Newmans, and the ladies appeared together on “Traffic Jam Jimmy,” a popular local segment on Fox45, after their first episode aired. It’s been a wild ride, but the Newmans wouldn’t give it up for the world. And they’re not done yet. So what’s next? “We of course want to hang out with the Bennetts again. 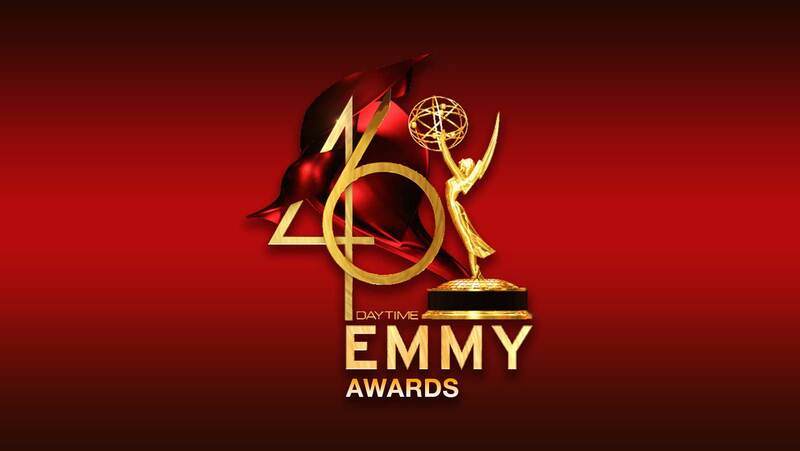 But our dream is to dance with the Bennetts, together, and maybe Steve too, on the Ellen show,” says LaKeisha. Ellen, if you’re listening, take it from us: these ladies are guaranteed to bring down the house. 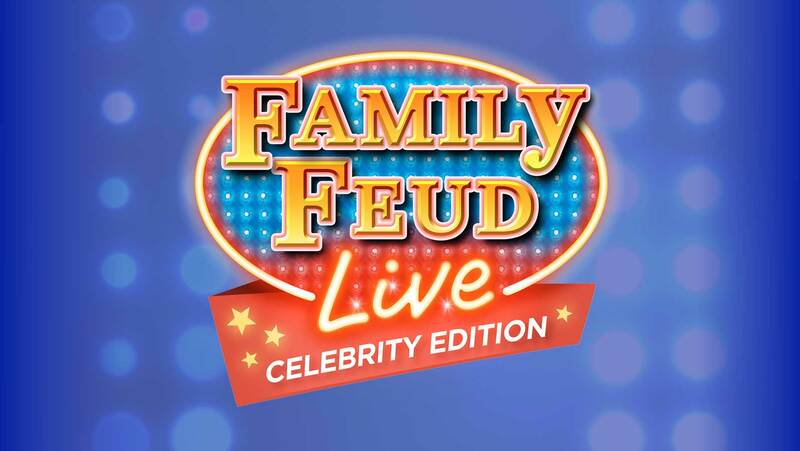 Want to bring your fam to the Feud? Find out how and check out our secrets to nailing your audition. The Newmans have some words of advice, too: “Just do it. Have fun. Be silly. Be loud. It’s not the time to hold back. Be proud to be who you are. Do your best. Don’t worry about being perfect,” says LaKeisha.